Regulation of the internet is on the rise worldwide. In particular, lawmakers are drafting bills and laws that seek to address a perceived flaw in the digital ecosystem. Keeping track of these new regulations can be quite tedious for journalists and researchers. Furthermore, oftentimes, the implications of these bills and laws on freedom of expression goes underappreciated. This is why last month my organization, the Center for Studies on Freedom of Expression and Access to Information (CELE) in Buenos Aires, Argentina, formally launched the Legislative Observatory on Freedom of Expression. 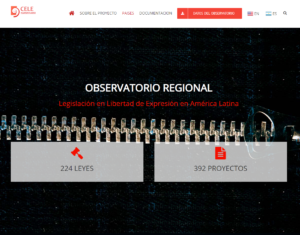 The observatory is a tool for journalists, academics, legislators, and activists to monitor legislative developments and track the impact of internet regulation debates on freedom of expression in Latin America. At its launch, the observatory included access to the text of over 90 laws and 370 bills in both English and Spanish from four countries: Argentina, Ecuador, Mexico, and Peru. In the next few weeks the site will be updated with information from Chile, Colombia, Guatemala, and Paraguay. The platform is unique in Latin America because it systematizes and makes publicly accessible laws and bills—some of which are not yet available online in their own countries. 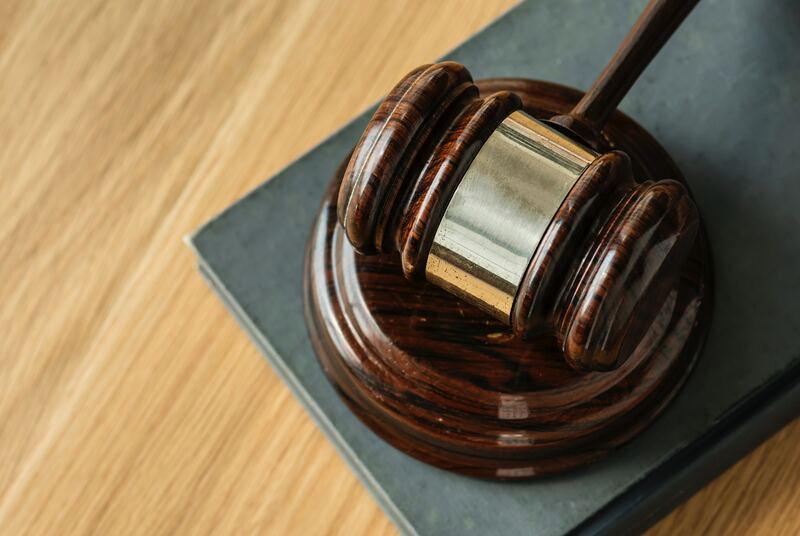 Bills and laws are searchable under over 10 categories, including theme, date of approval, date of issuing, country, type of legislation (criminal, administrative, civil), type of sanctions, and compliance with legality and proportionality, among others. The objective of the observatory is to identify regional trends in terms of content regulation and access to information, particularly in terms of new internet legislation. It facilitates comparative analysis across the region and can promote a better understanding of the actual state of regional standards and legislation and the issues at stake arising from internet regulation. For this project, we also worked with experts in the different countries included in the Observatory to select relevant legislation, analyze it and offer some contextualization through briefing papers that are also available on the website. The observatory also includes expert analysis of these bills and laws based on the Inter-American system’s three-part test on legality, necessity, and proportionality—the primary way to determine whether legislation infringes on regional standards of freedom of expression. All of the information included in the observatory is available on the site in open formats to facilitate its use by different actors and for different purposes. For example, journalists can find relevant information to inform and complement their reporting on new legislation. Legislators may find comparative experiences on similar issues in other countries, therefore enriching their own policy debates. Academics and activists may find novel uses for the data in terms of their own research and advocacy campaigns. Tracking legislation and bills is important because it can contribute to developing a better sense of the social mood underlying internet legislation. This in turn may serve to identify controversial issues, areas that require further research and even litigation, issues where activism has been more effective, and blind spots that require addressing to contribute to guaranteeing internet freedom across the region. We encourage you to dig in and explore the Legislative Observatory on Freedom of Expression and would certainly welcome constructive feedback on how to make this tool more useful! Agustina del Campo is the Director at the Center for Studies on Freedom of Expression & Access to Information (CELE) at the University of Palermo in Buenos Aires, Argentina. CELE is a research center devoted to the study and promotion of freedom of expression and access to information, particularly in Latin America. Its core activities include developing regional legal analysis and capacity building that foster the strengthening and further development of domestic, regional and international standards on these subjects.